One of the most widely used strategies among bodybuilders for decades is carb cycing. When I first began competing in 1996 this was the very strategy I used for contest preparation. It was also the strategy that many of the competitors were using, and still use till this very day. In fact, fast forward 21 years later, and I still utilize this very strategy for weight loss & maintanance. 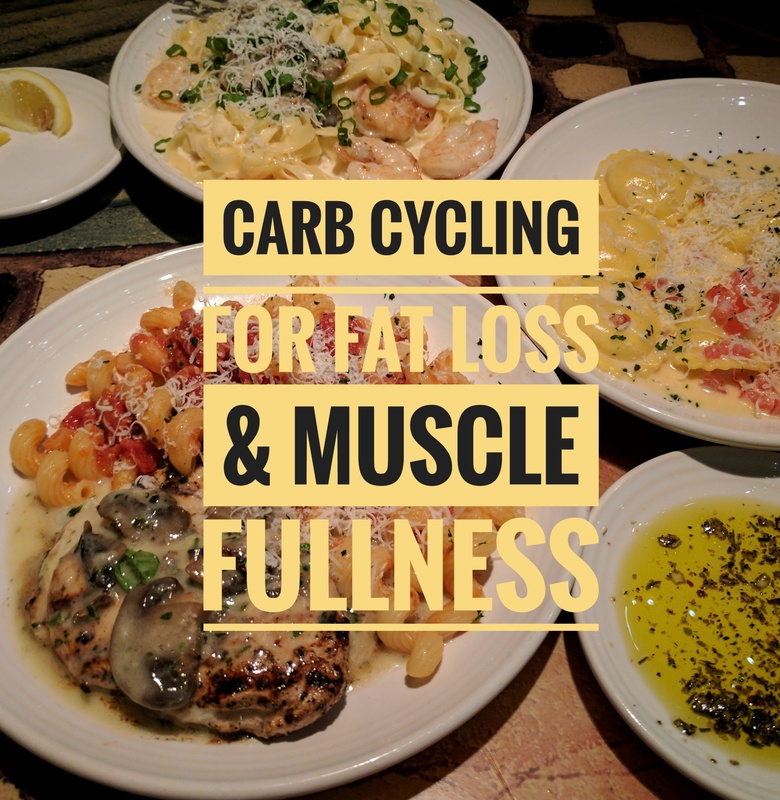 As much as Iʻve written about the low carb diet, and intermittent fasting for weight loss acceleration, it would not be complete if I did not include something about carb cycling. I believe carb cycling is critical, especially if you are following a regular weight training routine, and even more important if you are hitting the weights hard, and with high intensity. So what exactly is carb cycling? Well, thatʻs a pretty simple question, with a pretty simple answer. It essentially involves cycling the amount of carbs (cabohydtrates) you consume over a period of time. This typically involves days of low carb consuption followed by a day or 2 of high carb consuption. In the 90ʻs and early 2000ʻs, when preparaing for a competition Iʻd typically follow a protocol that would look something like this. Then repeat the cycle all over again. As Iʻd get closer to showtime, Iʻd sometimes extend the low carb days to 4 or 5 days, followed by a day or two of carb loading. Keep in mind that in preparation for a contest, the carb days did not consist of Pizza, burgers, and fries, or other types of prcessed carbohydrates. However, the carb days consisted of typicallly the same protein Iʻd consume on the low carb days, such as chicken, turkey, beef, or fish. However, Iʻd replace the low glycemic vegetbles Iʻd consume on the low carb days with more starchy comlex carbs, such as brown rice, sweet potatoes, or poi on the high carb days. If you’ve never heard of poi it’s a low glycemic complex carbohydrate, similar to a yam or sweet potato, and a Native Hawaiian staple. Fast forward to the current day, and my more commonly used approach when I’m not in contest preparation mode will typically look something like this. Since I am not preparing to get on stage in my underwear, the high carb days in this regimen will typically consist of some complex/refined carbs, such as pizza or burgers, etc. However, the strategy is the same. Deplete the body of it’s glycogen (sugar) storage throughout the week, then load it back up on the weekend. This is not just my current carb cycle, but one I’ve used for years during the off-season to reduce & maintain body fat levels. If you’ve never tried this carb cycling approach it may be worth giving it a shot. Besides helping your muscles to fill out after being depleted throughout the low carb days, it also allows for a little flexibility to enojoy some of the foods you wouldn’t typically eat on a true low carb day. What exactly is eating Low Carb anyway? These days, largely due to the internet and social media, more and more people are becoming aware of the low carb lifestyle. Not just for augmenting the body composition, but for it’s natural health benefits. Whether it’s Atkins, Paleo, Keto, or just plain low carb, they all have very similar low carb effects. When I first started competing in bodybuilding contest I talked to many of the local competitors in the gym for dietary advice. I was in search for the secret diet to get the ripped physique that most bodybuilders and physique competitors strive for. The interesting thing I discovered is that everyone was using some variation of a low carb diet. Some competitors would eat complex carbs early in day, then cut it out after 6:00 p.m. While others would not eat any complex carbs for 2-4 days, then eat complex carbs with protein meals the entire on the 3rd, 4th, or 5th day. Whatever variation you follow is really dependent on your body. The key to a successful low carb diet is to find your individual carb threshold. What do I mean by threshold? It’s simple if you drop your daily carb intake down to 100 grams per day and you are continuing to she’s bodyfat at 1-2 lbs a week, that may be your individual threshold. If you drop it to that same level but do not see continued weight loss, you may need to drop it down to 75 grams, 50 grams, or even 25 grams a day to continue dropping bodyfat. That’s the first step, discovering what your individual carb tolerance threshold is. One of the most common questions I get asked is, what do you mean by carbs? What types of foods? So here is a simple list of carbs you want to stay away from while eating low carb. Now, that may not be a very extensive list. However, one thing I’ve learned, is that once you start reading labels, you’ll soon discover that most processed foods contain some form of sugar or flour. Also most people that are struggling to reduce weight/bodyfat are typically consuming one or more of the items on the list above on a daily basis. So what kind of carbs can you eat? I’ll keep the list short. Now, some may argue that not all vegetables are created equal, and some may contain more carbs than others, which is true. However, we’re trying to keep it simple, 101 here. So, we’ll keep the list simple. Not to mention, if you really want to find out how many grams of carbs are in a cup of onion, Google is right at your fingertips. In case you’re wondering what you can eat, besides all the vegetaboes, that’s the best part. So here’s a list of other foods that will typically make up most of your diet, besides the veggies. Again, this may not be a complete list, but we are in low carb 101 here, right? So let’s keep it simple. Be a little creative and you’ll discover, there is a lot of variety of meals you can make from the protein and vegetable sources listed above. I’m a big believer in flavor, and having a variety of flavors in my food. Since my very first bodybuilding contest in 1996, I have always cooked a variety of foods with a variety of spices and seasoning. I have a section in my book titled “Creative cooking 101” with a few of the recipes. Be creative, research recipes, read labels, and enjoy the food you can eat, living a low carb lifestyle. The scale, the mirror, and your body will thank you for it.